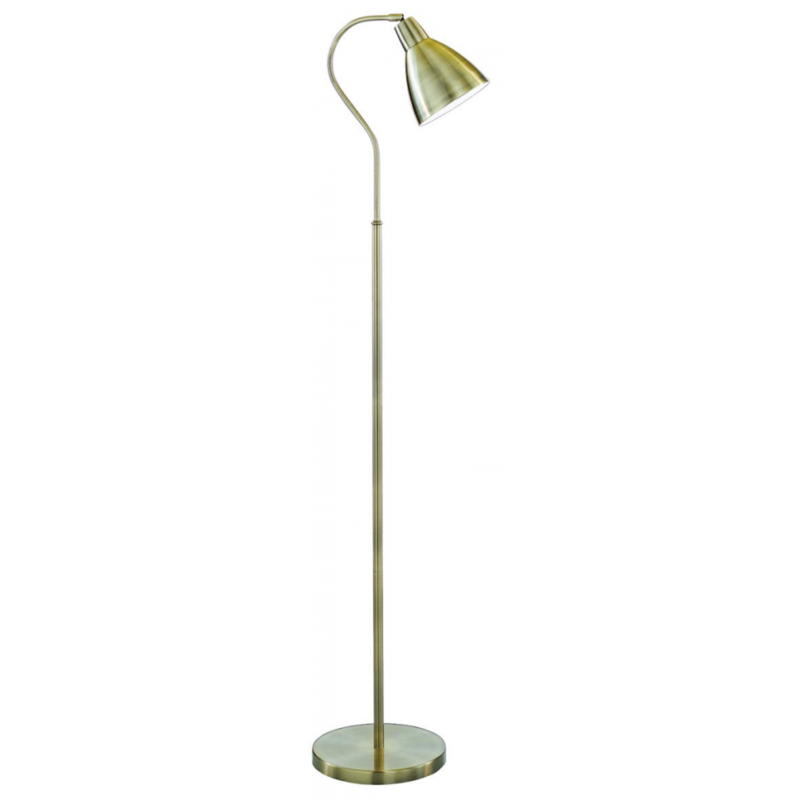 High quality traditionally designed antique brass reading floor lamp. The goose neck metal head is fully adjustable in all directions. The base is heavily weighted ensuring stability. Features on/off inline foot switch button located on the clear cable. Perfect to be used as a reading lamp situated behind the sofa/chair. The lamp has a height of 145cm.